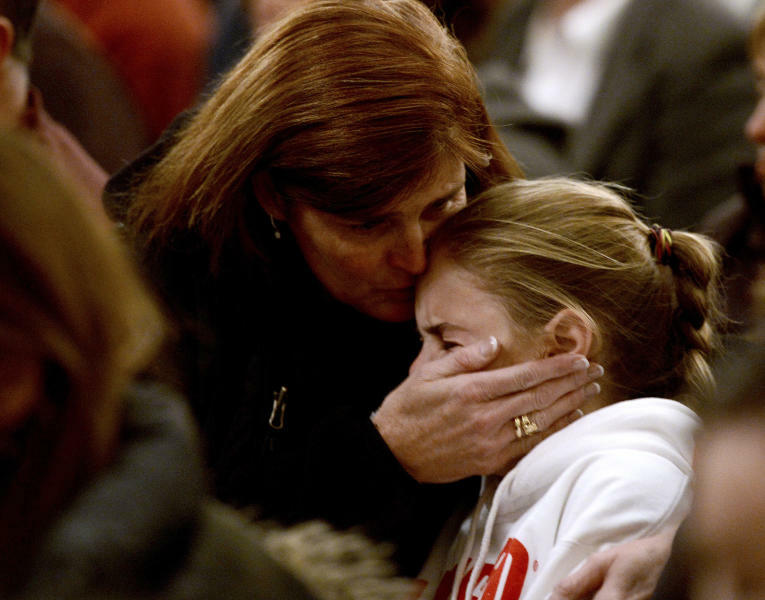 NEWTOWN, Conn. (AP) — The massacre of 26 children and adults at a Connecticut elementary school elicited horror and soul-searching around the world even as it raised more basic questions about why the gunman, a 20-year-old described as brilliant but remote, was driven to such a crime and how he chose his victims. 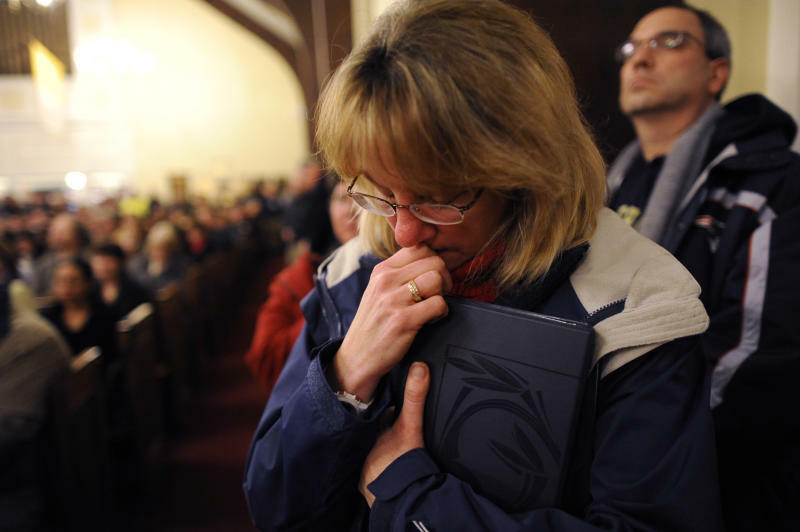 In tight-knit Newtown on Friday night, hundreds of people packed St. Rose of Lima Church and stood outside in a vigil for the 28 dead — 20 children and six adults at the school, the gunman's mother at home, and the gunman himself, who committed suicide. People held hands, lit candles and sang "Silent Night." "These 20 children were just beautiful, beautiful children," Monsignor Robert Weiss said. "These 20 children lit up this community better than all these Christmas lights we have. ... There are a lot brighter stars up there tonight because of these kids." Lanza is believed to have suffered from a personality disorder and lived with his mother, said a law enforcement official who was briefed on the investigation. Authorities said he had no criminal history. However, another law enforcement official, speaking on condition of anonymity, said that investigators have found no note or manifesto of the sort they have come to expect after murderous rampages. 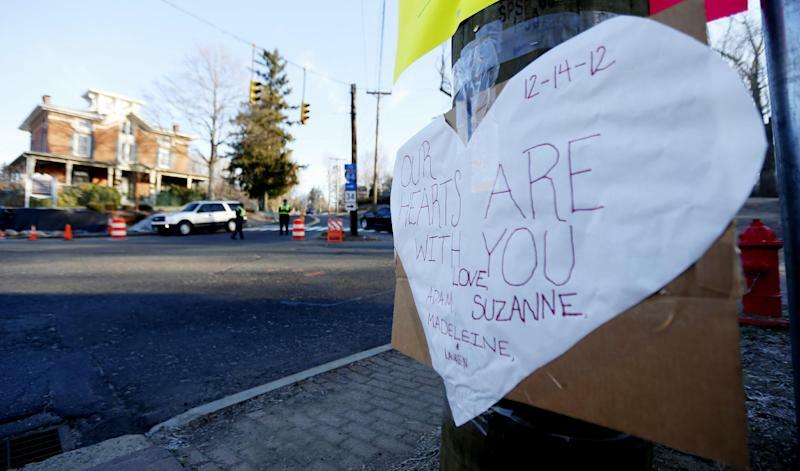 Lanza shot his mother, Nancy Lanza, drove to the school in her car with at least three of her guns, and opened fire in two classrooms around 9:30 a.m. Friday, authorities said. A custodian ran through the halls, warning of a gunman, and someone switched on the intercom, perhaps saving many lives by letting them hear the chaos in the school office, according to a teacher. Teachers locked their doors and ordered children to huddle in a corner, duck under their desks or hide in closets as shots reverberated through the building. "One of them slid his badge under the door, and they called and said, 'It's OK, it's the police,'" she said. The gunman forced his way into the kindergarten-through-fourth-grade school, authorities said. He took three guns into the school — a Glock and a Sig Sauer, both semiautomatic pistols, and a .223-caliber Bushmaster rifle, according to an official who spoke on the condition of anonymity. The weapons were registered to his slain mother. "The majority of those who died were children — beautiful little kids between the ages of 5 and 10 years old," Obama said at a White House news briefing. He paused for several seconds to keep his composure as he teared up and wiped an eye. Nearby, two aides cried and held hands. "If they started crying, I would take their face and say, 'It's going to be OK. Show me your smile,'" she said. "They said, 'We want to go home for Christmas. Yes, yeah. I just want to hug my mom.' Things like that, that were just heartbreaking."